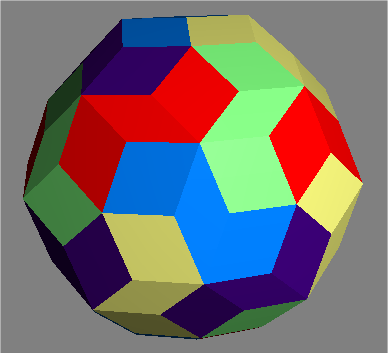 A polyhedron is a polyisohedron if its faces can be grouped into sets that are equivalent. A set of faces (aka polyside). 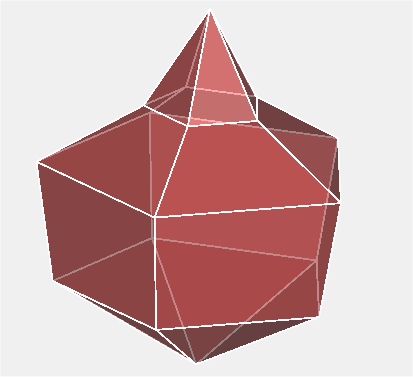 A polyhedron where every polyface is equal and has the same relationship to every other polyface. The polyfaces are all disjoint. 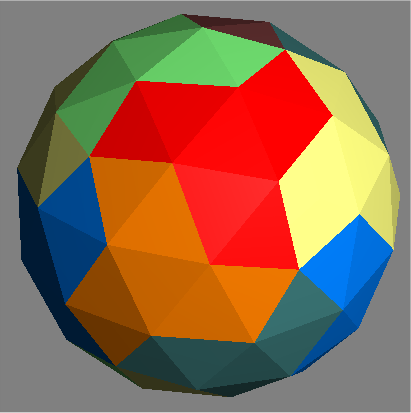 A lat-long polyisohedron uses a generalization of latitude and longitude on a sphere. 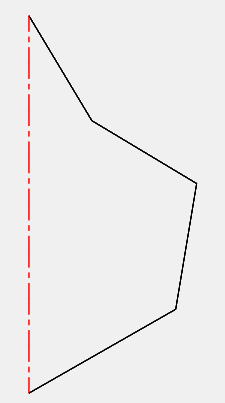 To make one, start with a series of connected line segments. Create multiple equally spaced copies around the axis that connects the start and end point of the segments. The following example shows an order 4 lat-long polyishedron with 5 polyfaces. If there are m line segments and n copies, the result will be an order m polyisohedron with n polysides. Each polyside will consist of two isosceles triangles and m-2 trapezoids. 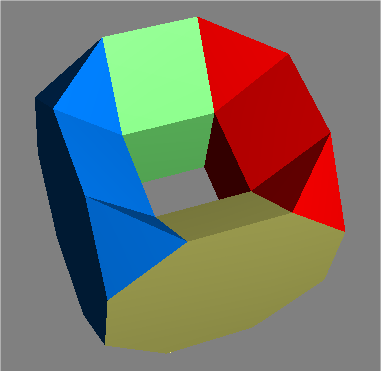 The lat-long polyisohedron construction demonstrates that polyisohedra of any order 2 and greater exists with any number of sides 3 and greater. 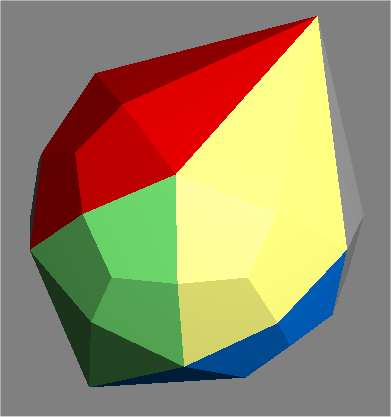 In contrast, order 1 polyisohedra, the isohedra, can't have an odd number of sides. They can have any number of even sides 4 and greater.